Wilmington may be famous for its beautiful beaches, but, unfortunately, the sun doesn't shine every day. 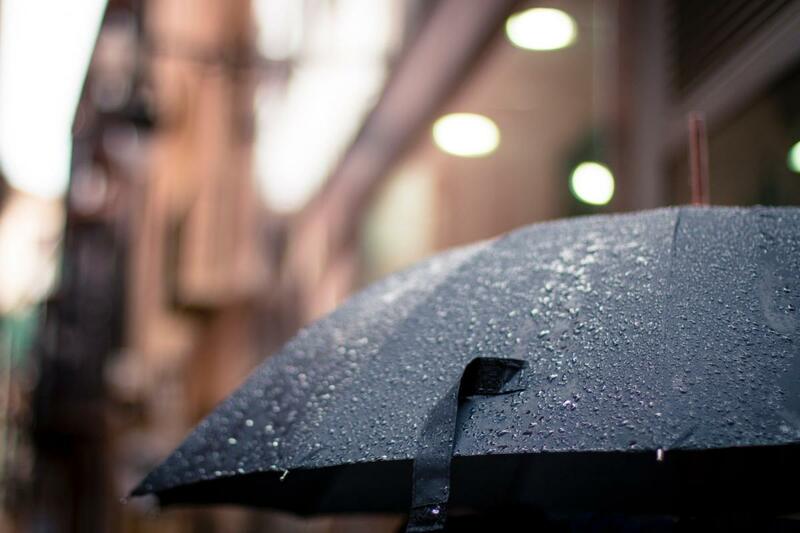 Don't fret if the weather isn't ideal for a beach day: we've compiled a list of 10 fun things to do on a rainy day in the Wilmington area, so grab your umbrella and get going! Located in Downtown Wilmington, the Bellamy Mansion is one of North Carolina's best displays of antebellum architecture. The property was home to the Bellamy family and now serves as a museum with the mansion, carriage house, and original slave quarters still intact. The museum hosts educational and cultural programs throughout the year as well as daily tours that are perfect for a rainy afternoon! Guided tours start on the hour, or self-guided tours are also available 7 days a week; adult admission is $12, and there are discounts for seniors, military, and students; admission for children under five years old is free! As the oldest history museum in North Carolina, The Cape Fear Museum of History and Science provides hours of education and fun on a rainy day. There are regular exhibits plus rotating ones, so there's always something new to see! The museum is open Tuesday through Saturday from 9 a.m. to 5 p.m. and Sundays from 1:00 p.m. to 5:00 p.m. on Sunday; it's also open on Mondays May through September. While this amusement park has numerous outdoor activities such as a water park and mini-golf course, it's also ideal for a rainy day. Head inside for indoor adventures such as laser tag, a “Kid's Jungle” complete with a ball pit, rock climbing wall, mini-bowling, a full arcade, and more! Concessions are available for snacks in between activities. Nothing says "rainy day" quite like hitting the bowling alley! This 24-lane bowling center is a family-friendly spot for both amateurs and pros to test their bowling skills. The snack bar also serves beer, so parents can relax while the kids are entertained! Located in historic Downtown Wilmington, this shopping district is a favorite local hangout spot. The entire block is home to over 30 shops and restaurants, making it the perfect place to explore on a rainy day. Grab your umbrella for the short walk from shop to shop, or stop at the local pub to grab a bite while the storm passes. This non-profit, specialty museum is home to a 5,000 square-foot, newly-renovated space featuring art exhibits focused on social and environmental issues. Known as a "gallerium," the area is part-gallery and part-museum, making it an interactive place to learn while being entertained! Open noon to 6:00 p.m. Wednesday-Sunday with free admission, this is a great spot to bring the whole family on a gloomy afternoon! Spend a rainy afternoon thrifting at this antique shop full of unique pieces at reasonable prices! From jewelry to furniture to knickknacks, you'll be sure to find some keepers. It's easy to get lost here for hours, which is exactly what you're looking for when the sun isn't shining. Escape the rain and grab a beer at Front Street Brewery, Wilmington's original brewery. Located Downtown, this spot has free tours and tastings daily. You can also stop at the in-house pub to order some food from their extensive menu along with a few brews. This is an adult's rainy day paradise! Cure the rainy day blues by seeing something totally out of this world! If you're looking for a family-friendly activity for science lovers, The Museum of the Bizarre is the place to go. For only $3 admission, you'll see a variety of wacky exhibits and attractions. Navigate the indoor laser vault and make your way through a tangled web of lasers as fast as you can. This experience will transport you into your favorite Mission Impossible scene! Not afraid of snakes? Then take a self-guided tour through this indoor exotic reptile house with live exhibits featuring rare snakes, crocodiles, komodo dragons, lizards, and more! This 10,000 square-foot facility has 54 displays with over 150 animals that allow you to experience these animals up-close. Rain or shine, there are tons of things to do in the Wilmington area. Find them all by registering on 910area, where your subscription is always free!